I have a new survival skill to add to my "In case of Apocalypse" repertoire. 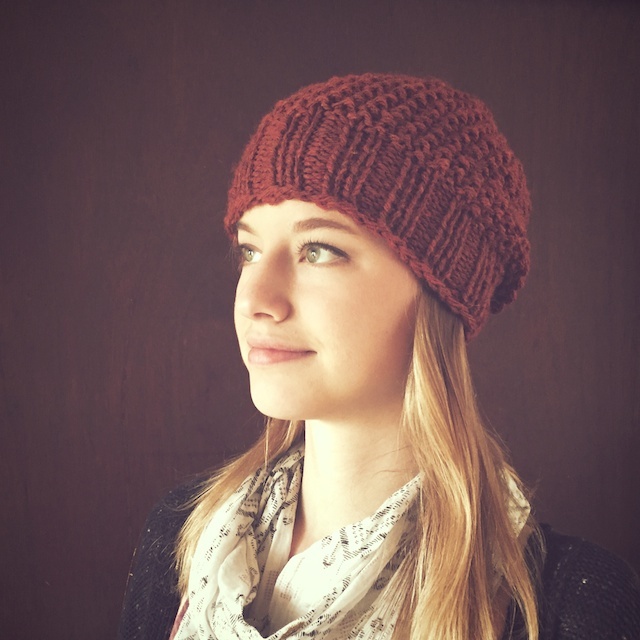 I have memorized an easy, fast hat that can be made with only half a skein of bulky yarn and sticks. 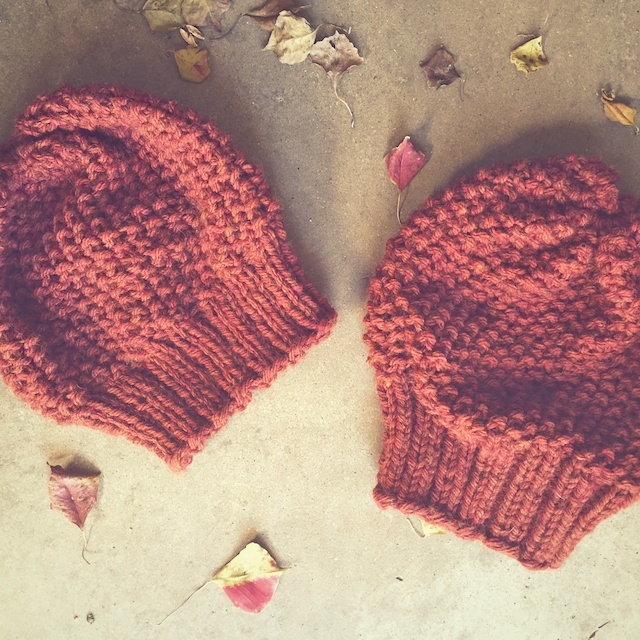 It's Jane Richmond's Autumn and by using bulky, instead of super bulky, I made two hats in the time it takes to watch two movies. That means I could easily keep two souls warm through a nuclear winter with one ball of lion brand and The Hunger Games on Netflix. to spend lots of time alone without going all "cast away"
and, recently, to outfit my whole family with just a few quick measurements and yarn. I am so ready for impending chaos. I used size 4 and 6 needles with Wool Ease Chunky. The pattern calls for Thick and Quick, but I just made it work by knitting the seed stitch a little loose. 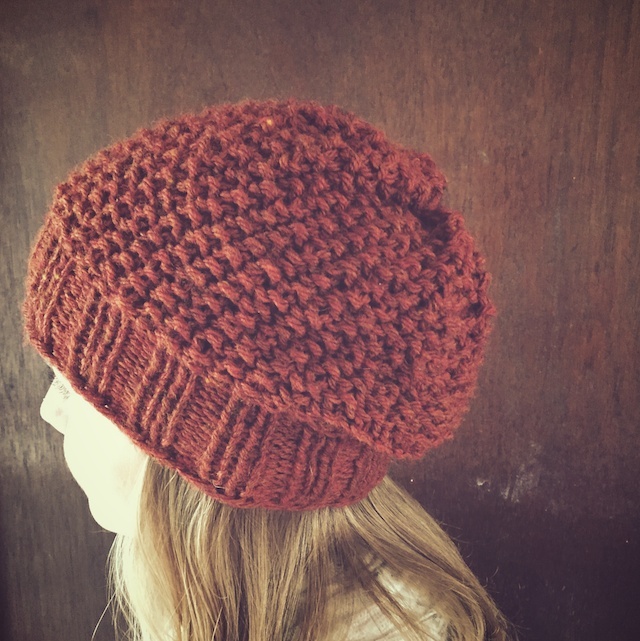 Have I told you how much I love seed stitch, especially chunky seed stitch? Well I do, so they were very satisfying to make. Though I didn't use it for these, I do have plenty of Thick and Quick I could try this pattern on. You see, I'm all about using the yarn stash I have to create what I need. At least I keep telling myself that. In survivalist fashion, I was using the stashed Wool Ease from yesteryear, to suit my needs today. Now, the burning question is- what end-times solution could I MacGyver from Fun Fur? As always your photos are stunning!! I really love these Autumns in chunky weight, I may have to cast one on myself! 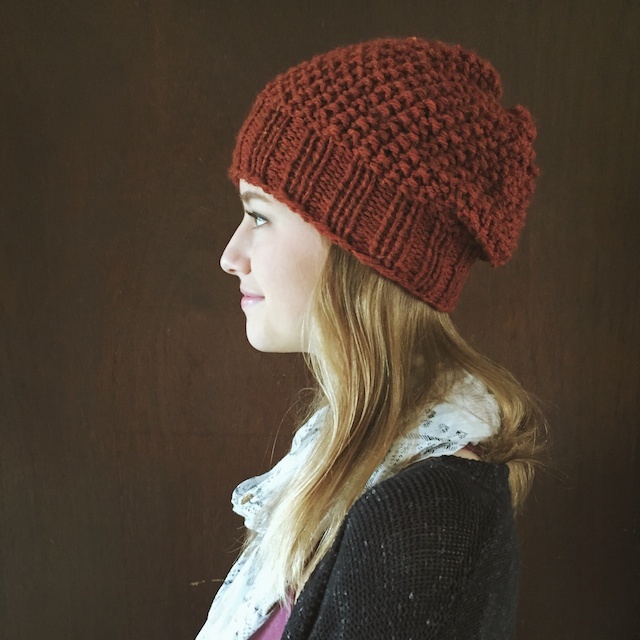 I'm a seed stitch lover too! My brain loves it. Not only are you and your family ready for the apocalypse, you will all be surviving the tough times in style! I love Jane's designs and this one is spot on. As for living without sugar and caffeine, I'll match you on the sugar but caffeine will do me in! Hehe. Well, making your own clothes gives a survivalist kind of confidence, you know? This was such a satisfying, quick knit. I agree- Jane can't fail! I can live without sugar, but it's nice that I don't have to, Evelyn. True, Vanessa! But I'd much rather find each other at Rhinebeck. One day... right? We are developing some good skills and are almost ready for Apocalypse. Those hats seem fun to knit, they use very little wool. Oooh, that mask balaclava reminds me of the planet of the apes. That's a funny project!